Bring your youth group, school group, or church group to Manidokan for a day of challenge activities and team building. Our staff can even structure activities around a theme for you, whether it is secular or faith-based. The challenge course is ideal for small groups and focuses on team building, communication, trust and problem solving. 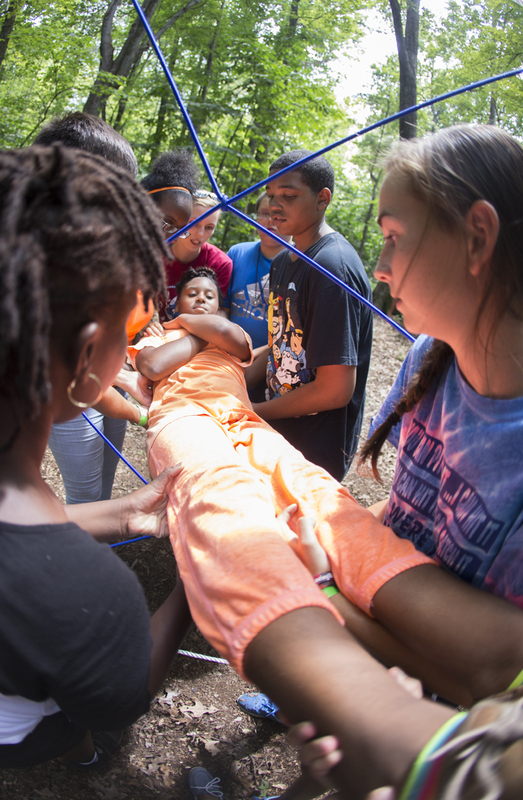 Groups travel through the course overcoming obstacles of various forms, including: up and over, spotted individual, stacking, and complex. Participants are not harnessed into any safety equipment and remain less than 10 feet off the ground. Check out our high ropes challenge course and ziplines for more great group activities. For more information or to book these activities, please contact us directly.